A terrific example of how several small grants can cumulatively further the conservation of a species can be found in the Mohamed bin Zayed Species Conservation Fund’s support for the Endangered Black-capped petrel. Answering the questions of where this species nests and forages are key to identifying conservation actions needed to conserve this declining species. However, until recently, because of the Black-capped petrel’s nocturnal behavior and small population size, little was known. In 2012, in hopes of finding the answer to these questions, American Bird Conservancy (ABC), a non-governmental conservation organization based in Virginia, United States, requested support from the Fund for an experimental project involving the difficult task of capturing petrels off the coast of Cape Hatteras, North Carolina and affixing satellite transmitters, which would record their whereabouts and possibly reveal previously unknown nesting locations. Unfortunately, although much was learned about the conditions necessary to capture these birds at sea, the attempt was unsuccessful. In the end, in collaboration with the US Geological Survey and Grupo Jaragua, a Dominican non-governmental organization, we deployed three satellite transmitters on adults captured at their nest burrows in the Dominican Republic. For over six months, these birds provided us with amazing new information about their range during the chick provisioning period and non-breeding season. 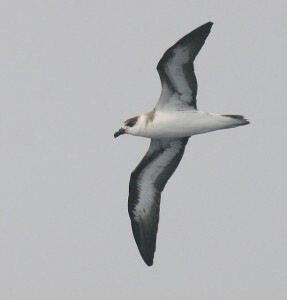 Since 2012, two additional small grants from the Fund have enabled ABC and its partners in the Caribbean, Environmental Protection in the Caribbean, Grupo Jaragua, Société Audubon Haiti, and Conservation Metrics, to purchase and deploy several autonomous recording units (ARUs) to explore for the presence of Black-capped petrels in new locations on land. Data generated using acoustic monitoring will enable ABC and its partners to better understand the petrel’s nesting phenology, nesting locations, and population size. The most recent grant also funded the purchase of a quadcopter drone which will enhance our ability to identify areas for on-the-ground nest searches. Thanks to support from the Fund, ABC and its partners are utilizing innovative technologies such as ARUs, satellite telemetry, and drones to answer questions that are critical to saving this species. Today, we are more knowledgeable than ever before about Black-capped Petrel’s behavior and foraging and nesting locations, information that is already helping ABC and its network of on-the-ground partners work with a diverse array of agencies and local communities to prevent the extinction of this mysterious bird.